Let’s be real here: We know that visiting the dentist can be something that makes many patients nervous. Research shows that 20% of individuals who experience severe anxiety will only go to the dentist if absolutely necessary. We invite you to express your worries from the very first moment you call to book an appointment. Our team makes your concerns our concerns. Whether you’ve had a bad experience in the past, are afraid of needles, or are apprehensive about any specific part of your appointment, let’s discuss it. We promise to listen carefully to get a full understanding of how you feel. Dr. Dervin will share with you a full range of options and information so you can make an educated decision about your personal treatment. We will not rush you into a decision you’re not comfortable with. Additionally, we offer safe, effective dental sedation that has helped other patients like you overcome their dental fears. There are several options available; our team will be happy to discuss the solution that’s right for you and your treatment. We make a point to discuss your options in detail with you so you feel comfortable with every aspect of treatment. Depending on the procedure needed, there may be multiple options available that can fit your time frame and/or budget. Some procedures can be completed in the same day or even within the hour. We offer evening and weekend appointments that can work with your busy schedule. Our Treatment Coordinator will explain to you what may or may not be covered by your dental insurance and will help you navigate the various financing options we have available. The ultimate decision is yours to make, and we will make sure you have all the information you need to choose the treatment that’s right for your dental health and your wallet. 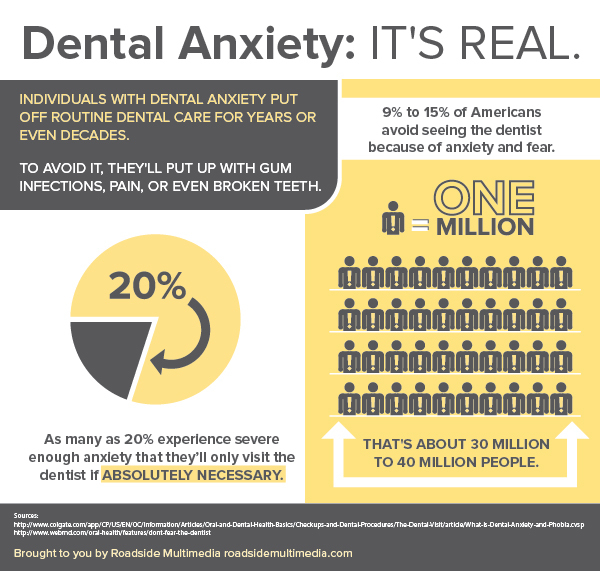 Dental anxiety is a very real thing, and every single person at Dervin Dental is committed to helping you feel at ease during your visit. If you’re nervous about visiting your Shawnee dentist, contact us. We’d appreciate the opportunity to put your fears to rest!